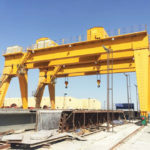 Outdoor gantry crane is generally used to lift and move heavy loads for many outdoor workplaces, including storage yards, dock, port, railway, shipyard and construction site. The gantry crane comes into being to suit various applications where overhead crane is not practical. 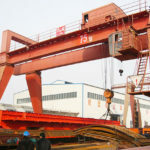 As highly efficient and economical lifting systems, the outdoor gantry cranes are designed and built with many different configurations, sizes and models, including single girder, double girder, rail mounted, rubber tyred, semi gantry crane, truss and cantilever styles, and each type is designed to serve a specific lifting need. When you are looking to buy an outdoor gantry crane to meet your specific application, there are obviously many things you need to consider, such as the equipment configuration, capacity, size, working space and environment. 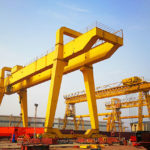 Before thinking about these questions, you are suggested to have a full understanding of different types of outdoor gantry cranes. 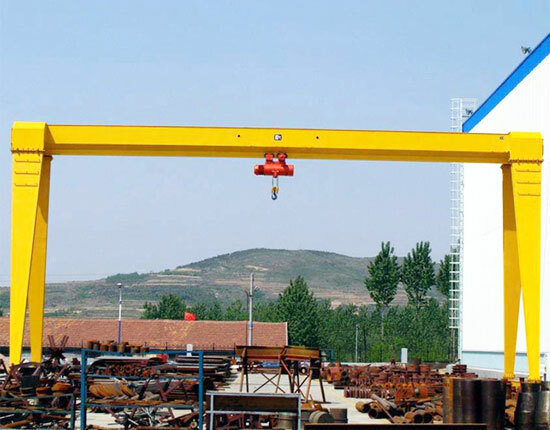 The single girder outdoor gantry crane is a kind of small and lightweight lifting system with A shape frame. It is commonly applied to meet light duty lifting requirements, and the maximum capacity reaches 16 ton. The single girder crane is typically equipped with CD and MD electric hoists, and the European standard hoist is also provided on your request. This type of outdoor gantry crane is mainly composed of main beam, four legs, end carriages, running mechanism, hoist trolley and electric control system. It is an ideal option for a variety of small and medium lifting applications with many prominent features such as simple structure, light dead weight, convenient maintenance and high durability. The MG double girder crane is the most commonly used heavy duty lifting equipment for outdoor uses. In contrast to single beam gantry crane, this outdoor gantry crane can achieve a larger capacity, greater lifting height and speed. It is capable of handling extremely heavy loads up to 200 ton. The double girder outdoor gantry crane is widely applied in port, freight yard and railway to serve as an efficient and safe lifting tool. It features high utilization of work space, high versatility, and strong adaptability. Rubber tired gantry crane is a kind of portable lifting equipment with tyres attached to the bottom of the crane, making the movement more convenient and easier. According to different application requirements, the mobile gantry crane is designed with certain number of rubber tires. 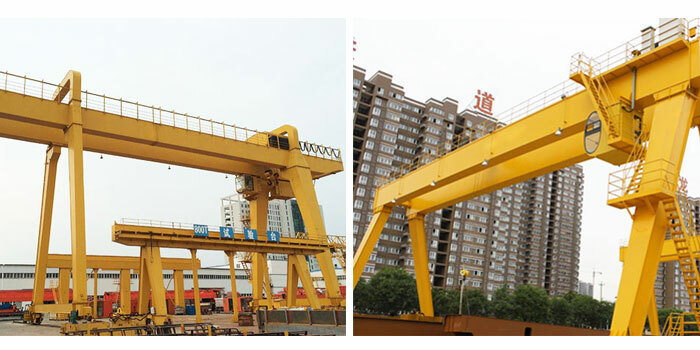 Thanks to strong mobility, this kind of outdoor gantry crane can reach each corner of the working area freely as well as be moved from one place to another easily. The rubber typred portable gantry crane is widely used in port, quay and container terminals to load, unload and transfer heavy items. The most distinguished feature of the equipment is high flexibility and high utilization of working areas. If you are looking for a flexible lifting solution for outdoor application, the movable gantry crane is a preferred option. Compared with traditional gantry lifting equipment, this type is built with single leg to fit many outdoor workplaces where the space is an issue. 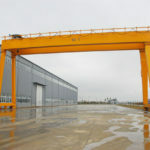 According to different lifting requirements, the semi gantry crane is configured with single girder or double girder. Truss gantry crane is more often used for outdoor environments where there are strong winds. This outdoor truss gantry crane is suitable to undertake small and medium lifting tasks with many advantages such as light dead weight, small windward area and easy maintenance. The outdoor gantry crane can be designed with outreach on both sides of the main beam to form cantilevers which effectively increase the workspace. 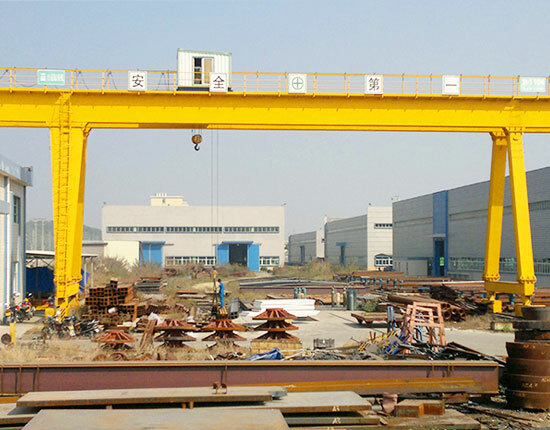 The gantry crane with cantilever is widely used in various open workplaces, such as port, railroad freight yard and shipyard. 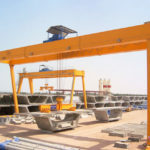 A right outdoor gantry crane is vital to the efficient operation of your business, so here comes the question: how to select the right equipment for your individual applications. The key is to focus on your specific needs. Here are some considerations for your reference. First, you should consider the outdoor gantry crane specification required for your application, including lifting capacity, lifting height, span, lifting speed and hook coverage. Another critical consideration is the working environment. As the outdoor environments are changeable, you may need to configure your crane with several protection devices such as wind proof device, lightning protection device and rain cover. Then you should think about questions like how often do you use the crane, which way do you prefer to make it move, rubber tyred or rail mounted? Finally you should consider some options for critical parts of the outdoor gantry crane such as the trolley and hoist type. Other important factors involving in selecting an outdoor lifting equipment mainly include the cost of the crane, quality, service and qualification of suppliers. We suggest you to take a comprehensive consideration of these questions so as to make the best choice. We will help you find the best lifting system for your practical needs. For gantry lifting system used in outdoor places, the working environment are uncontrollable, so it is critical to outfit safety devices to ensure an efficient and secure operation. Wind proof and anti-slip device. 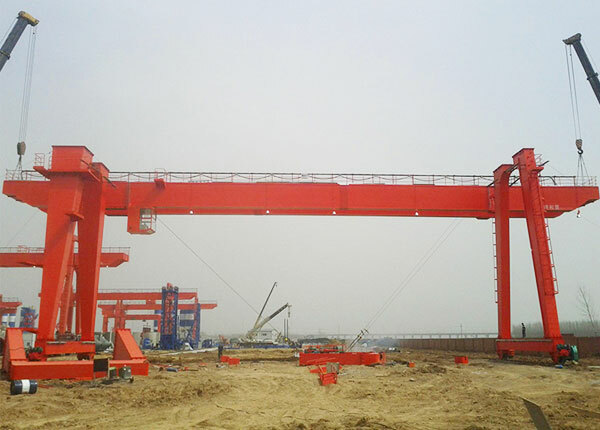 According to relevant regulations, the rail mounted gantry crane for outdoor uses should be equipped with this protection device in case the equipment is blown by strong winds, leading to slide along tracks. Based on different operation modes, this device can be classified into three types: manual, automatic and semi-automatic. Anti-collision device. The device is suitable for occasions where there are more than two gantry cranes traveling along the same rail. It is used to prevent collision between these cranes. Rain cover and lightning protection device. For open-air working environment, it is essential to equip these safety devices in order to protect the electric control system of the crane. We have been engaged in designing and manufacturing material handling equipment for over a decade to serve a wide range of lifting applications. 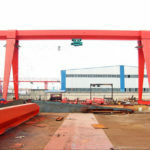 The products mainly include overhead crane, gantry crane, jib crane, electric hoist, construction winch and marine winch. 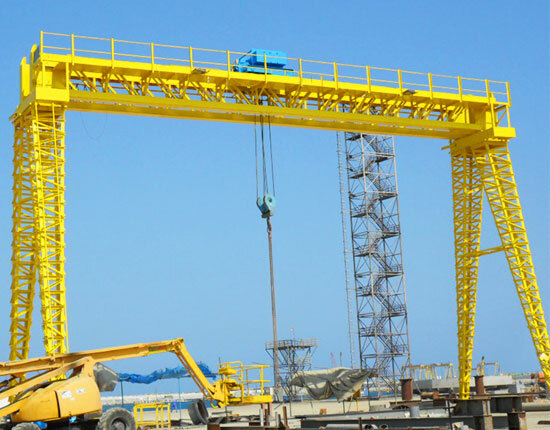 The gantry crane we produce is designed for both indoor and outdoor uses. As seasoned gantry crane manufacturer and supplier, we can assure you a quality product and dependable service so as to bring great benefits to your businesses. 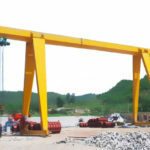 We also provide customized gantry crane for your special needs. 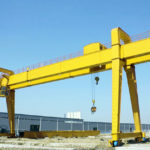 For different types of outdoor gantry cranes, their prices differ from each other. 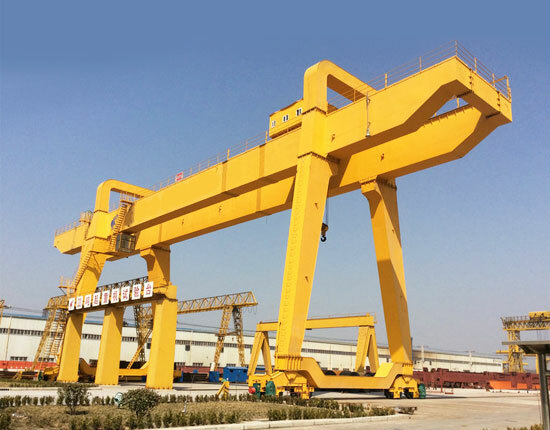 Want to get outdoor gantry crane price? Contact us online now. We will design the best lifting solution on your demand as well as offer you a free quotation.